Everyone has different preferences when looking for a new place to call home. For some, the restaurant scene is the most important. For others, a worthwhile nightlife is an essential must-have feature. If you’re one of the latter, you’ll be happy to know that our Residences at Rodney Square rentals in downtown Wilmington, DE, are centrally located, putting you right in the thick of things. 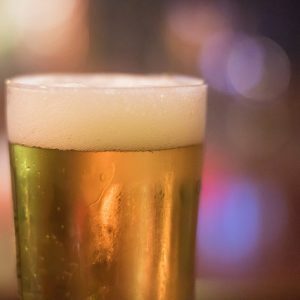 If you’re new to the area, here are some of the best local bars and breweries that’ll help spice up any Friday night. This microbrewery serves up more than a half dozen house-crafted ales, stouts, lagers, and IPAs. Be sure to swing by Monday through Friday between 4 p.m. and 7 p.m. to take advantage of their happy hour specials. And don’t worry: if beer isn’t exactly your thing, there is an impressive wine and cocktail menu as well. Plus, if you’re feeling a bit peckish, the robust food menu includes plenty to satisfy, from grilled scallops to a souped-up mac and cheese loaded with smoked meats. With nearly a dozen beers on their menu, this brewery offers an assortment of flavors and styles that will satisfy any palate. The team of five beer experts pride themselves on experimentation when it comes to crafting new options, so you’ll find everything from crisp lagers to “a wild, funky, tart beer.” While there’s no food menu at this place, they do regularly host a rotating selection of food trucks, so be on the lookout for one that piques your interest. If you’re looking for a nostalgic blast from the past while you enjoy your beer, this is the place for you. There are nearly two dozen beers on tap at this place, including IPAs, APAs, ales, and stouts. If you’re feeling a bit indecisive, order up the flight and you can choose four 6-ounce pours of any draft beer on the menu. The best part here is, as the name suggests, you can play some of your favorite, classic arcade games—Asteroids, Street Fighter II, or Frogger, anyone?—while enjoying your drink. For a bit of a more refined evening out, head to this speakeasy-themed bar tucked away on top of an Irish pub. On the menu is a well-rounded selection of sophisticated seasonal, classic, and signature cocktails, like poolside kiwi splash, made with a strawberry-and-kiwi-infused vodka. But what this place is really known for is its vast whiskey selection, so don’t miss a chance to sample at least one … or you can opt for a flight of three different types. No matter your taste or idea of a good time out, when you move into one of our rentals in downtown Wilmington, DE, finding the perfect option for you is easy as can be. Bottoms up!